Angst oder Panikzustände sind ein psychischer Zustand, der von anhaltender Sorge, Angst oder Unbehagen gekennzeichnet ist. Es ist ein wachsendes Problem mit einer hohen Anzahl Betroffen. Schätzungsweise jeder zwanzigste von uns muss sich ersthaft und/oder dauerhaft mit dem Thema auseinandersetzen. Der Artikel in englischer Sprache fasst die Gründe zusammen und gibt einige Tips und Ratschläge wie Sie Ihren Körper auf natürliche Weise und durch spezifische Nahrungsergänzung unterstützen können. ‘Anxiety’ is the mental state characterised by persistent worry, fear or unease. It is a growing problem with an estimated 1 in 20 people affected. Most of us probably have some experience with anxiety and know of the huge impact which it can have on our health by increasing our risk of depression and insomnia for example, and impairing our overall enjoyment of life. If you have what can only be described as a nagging ‘monkey mind’ which is constantly trying to make us fearful about all of the bad things which could but will probably never happen, then read on and discover some top tips for becoming free of anxiety, naturally. Most often, anxiety develops when there are too many sources of stress in our life, like a demanding job or high caffeine and sugar intake, which over-activate the nervous system and lead to chronic elevation of our primary stress hormone – cortisol - and excitatory neurotransmitters - glutamate and adrenaline. This puts us on ‘high alert’, a state which promotes an anxious mind. 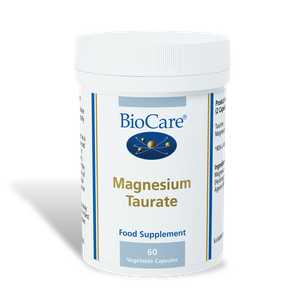 Deficiencies of certain nutrients, especially magnesium, can then reduce our ability to convert glutamate into the calming neurotransmitter called GABA, as well as our ability to detoxify cortisol and adrenalin, making the situation worse. Depletion of beneficial bacteria in our gut related to alcohol, certain medications and even emotional stress itself can further contribute to a dysregulated stress response and the onset of anxiety. There is much that we can do to start healing anxiety at a deep level. First, we need to identify our triggers – is it certain situations, experiences, foods or even, dare I say it, certain people? We then need to remove those which are amenable to change such as caffeine, seek the right emotional support to help us deal with those which are more ingrained in our lives, and start introducing nourishing influences into daily life such as mindfulness and meditation to help quieten the mind. Nutrition is vital to address any physiological imbalances which may also be driving our anxiety. 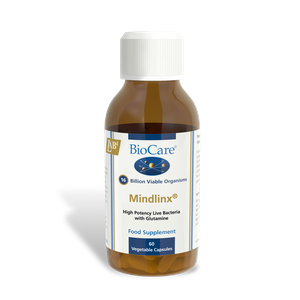 Increasing the level of GABA in the brain and reducing cortisol secretion is a great place to start. 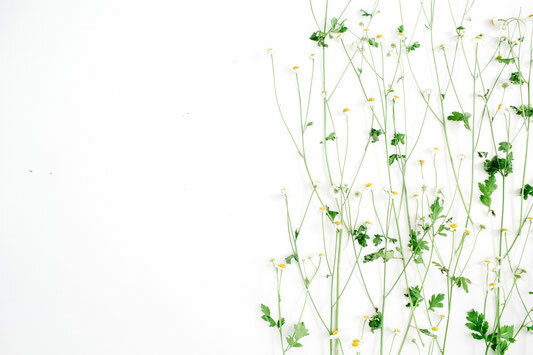 Magnesium, vitamin B6, the amino acids taurine and theanine, herbs such as lemon balm and chamomile, and probiotics such as Lactobacillus rhamnosus, can all promote the calming action of GABA and have been shown to improve anxiety. Phosphatidylserine, a type of fat found in lecithin and so egg yolks for example, can also be useful through its ability to reduce cortisol production and so, the stress response.